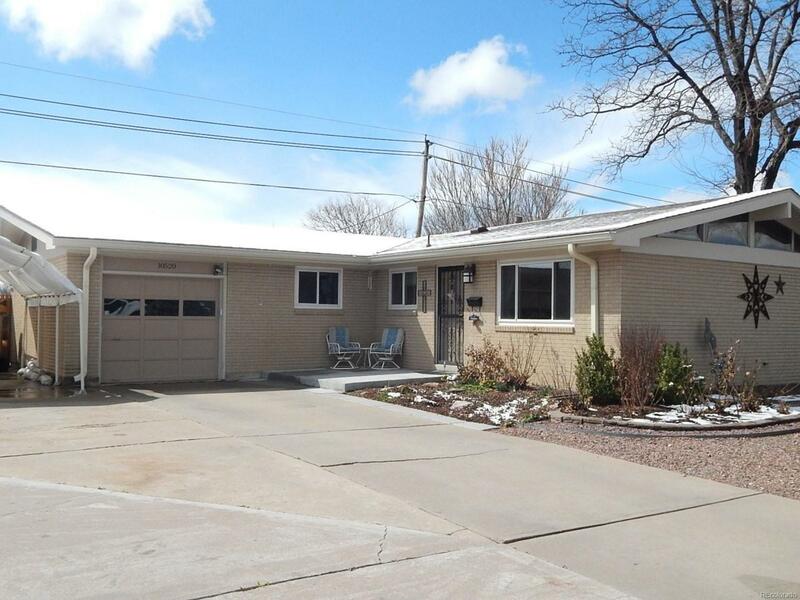 Gorgeous Arvada brick Ranch. Beautifully taken care of. See the list of new items below in Broker Remarks. Great floor plan with a mostly finished basement. Granite C-tops in the Kitchen, Stainless appliances are included, The Basement has a dedicated workshop, huge laundry /Mechanical room and a legal egress window. Zero scaped front yard, long driveway and extra parking pad next to the garage. A Removable Aluminum and canvas car port is included. Great back yard with a covered patio area. Utility shed is included.